Facial recognition has become mainstream in recent years, thanks to systems like Apple Face ID and Facebook DeepFace. In addition, the technology is also being used within hospitality for everything from seamless airport and hotel check-ins, through to delivering more personalised customer service. In this article, you will learn more about how facial recognition is being implemented, and the ways it is shaking up the hospitality industry. Facial recognition systems are an example of biometric technology, and can be used to identify people by analysing their faces. This is usually achieved by comparing a scanned image or a frame from a video with the faces contained within a database, matching them up based on facial features and skin textures. The technology can also be used more generally to recognise certain things about faces, such as whether a face belongs to a man or a woman, or what age range the person is likely to be in. Facial recognition is used by security services, law enforcement and technology companies, and is becoming more prevalent in the hospitality industry. The hospitality industry deals with large volumes of customers at once, and for hotel owners, airlines and other companies, it is a top priority to deal with them efficiently, without compromising on safety. As a result, it is an ideal field for facial recognition technology to be implemented. In particular, facial recognition systems can be used to automate certain verification or authorisation processes along the customer journey, and to improve the customer experience. Moreover, the ability to identify specific people, even in large groups, can be extremely advantageous, helping to make security systems more robust. One of the main ways facial recognition can be deployed within the hospitality industry is for security and access purposes. Within a hotel setting, this might mean using the technology to grant guests access to their hotel room, while in airports, it might be used in place of boarding passes and passport checks. When it comes to security, the technology can also be vital in helping to identify troublesome guests, or guests who have previously been removed from the premises. Moreover, facial recognition can be used by law enforcement, airport security teams and similar organisations for more critical security matters. The technology can also be used by those within the hospitality industry to deliver a greater level of customer service. For example, facial recognition can allow employees to quickly identify guests, perhaps before they even check-in, and deliver more personalised greetings and a more tailored service. If a company has a customer reward scheme, members may be given the option to upload a photo during the sign up. Facial recognition can then allow that company to instantly identify members and provide them with rewards. The technology may also identify returning customers, allowing them to be rewarded too. Facial recognition also has a role to play in helping to authorise payments, making that process more efficient. Companies like MasterCard have already implemented systems powered by facial recognition, where a customer can confirm a payment using the camera on their phone, or a camera supplied by the vendor. In terms of how this can be used by those in the hospitality sector, imagine a hotel where guests go to a kiosk, check out using facial recognition and confirm their payment in the same way, with no need to interact with a single hotel employee. Kiosks can also be used in restaurants, allowing customers to pay seamlessly on their way out. Finally, in order to understand customers, improve services and optimise processes, hotels and other companies need to be able to gather feedback and data. This is an area where the uses for facial recognition may be less immediately obvious, but where those uses can be extremely beneficial. The technology can be set up for market research purposes, helping companies to know exactly how many people are in a location at a particular time. Additionally, it can be used to draw conclusions about customers too, reading their expressions to ascertain their mood, or their facial features to ascertain their age or gender. Most impressively, this data can be gathered automatically, at any time of the day or night. To date, one of the most effective uses of facial recognition within the hospitality industry has been as part of the hotel check-in process. In two different Marriott hotels in China, for example, guests now have the option to bypass the traditional check-in desk and instead head to a kiosk. There, facial recognition technology scans their face, identifies them and provides them with a key card, all in the space of around one minute. One of the challenges for hotel managers and others within the hospitality industry looking to introduce facial recognition is balancing the benefits with privacy for customers. Indeed, many people have concerns about facial recognition, due to the fact that it means even more data about them being collected and stored. Furthermore, many people fear their data being sold on to other companies against their will, and dislike the idea of businesses being able to track their every move. It is, therefore, important that the hospitality industry takes these concerns seriously and takes steps to avoid misusing data. In some cases, one of the best solutions may be to make facial recognition an opt-in or opt-out service, so that users have a choice in the matter. Facial recognition technology can help hotel owners and others in the hospitality industry to improve the customer experience, make processes more efficient and enhance security. In particular, it allows for queues to be avoided, check-ins to be automated, and security and research to be more comprehensive. With digital technology continuously evolving, it should come as little surprise that its applications within the travel and hospitality industry evolve too. 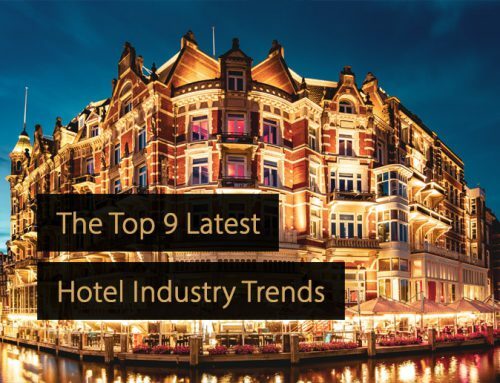 In the following articles we piled up the most innovating digital trends in the hospitality industry. How Can Voice Control Benefit the Hospitality Industry? Smart Hotel; What Are the Benefits for Hotel Owners and Guests?